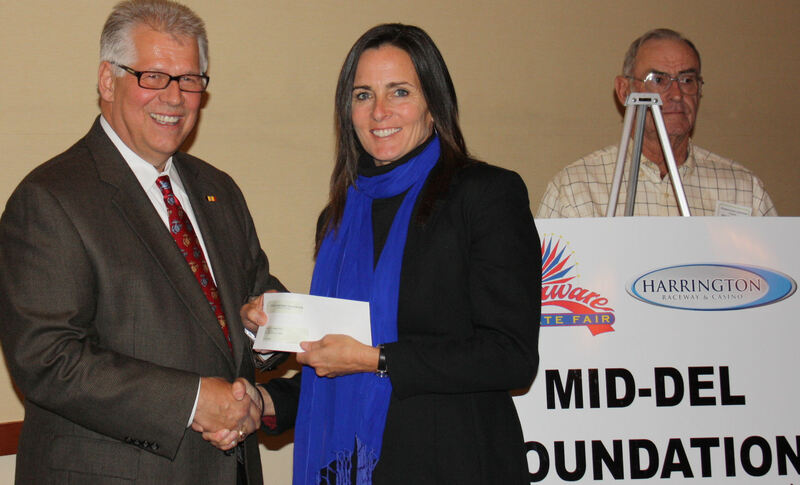 On November 10, 2010 at Harrington Casino, representatives from 36 Delaware organizations were awarded financial grants by the Mid-Del Charitable Foundation. Harrington Raceway’s 64th season came to a close Thursday night as a variety of season-ending honors were awarded. Rodney L. and Rodney K. Wyatt’s Ireneonthemove ($5.60, Corey Callahan) was a narrow winner in the $22,000 Mares Open Tuesday at Harrington Raceway. Four $100,000 Delaware Standardbred Breeders Fund (DSBF) final events for 2-year-olds were contested on a rich Monday program at Harrington Raceway and included a world record performance. Harrington Raceway’s leading driver Ross Wolfenden solidified his lead in the driver standings with five winners Wednesday night. Joyce, Kathleen and Linda Keeler’s Ladyfield ($16.60) surpassed the $500,000 mark in career earnings Tuesday with a 1:54.4 triumph in the $22,000 Fillies and Mares Open at Harrington Raceway. Using her customary late bid with driver Tony Morgan, the 7-year-old Armbro Cadet mare finished with authority to reel in Chausettes Blanche at the wire. Ash Larue was third. It was the fifth win of the year in 11 starts for Ladyfield and trainer Vic Keeler II. Six $20,000 divisions of the second leg of the Delaware Standardbred Breeders Fund (DSBF) stakes for pacers were contested Monday at Harrington Raceway. The fastest winner came in the 10th race when Legacy Racing of Delaware, Niel Gargiulo and Louie Paglierani’s Powerful Mist ($2.10, Jim Morand) scored his second straight win in DSBF elim action with a 1:55.2 triumph. The Powerful Toy colt improved to 5-for-9 lifetime for trainer Wayne Givens. Nanticoke Racing and Jim Morand's Tough Challenger broke Harrington Raceway longest standing track record Wednesday with a 1:57.1 win in the subfeatured $19,000 Jr. Open Trot. Jeff and David Clark and Vernon Cannon’s Ash Larue ($33.80, George Dennis) was a long shot winner of the Tuesday’s featured $22,000 Mares Open at Harrington Raceway in 1:53. Six $20,000 Delaware Standardbred Breeders Fund (DSBF) stake events for 2-year-old pacers were held Monday at Harrington Raceway. 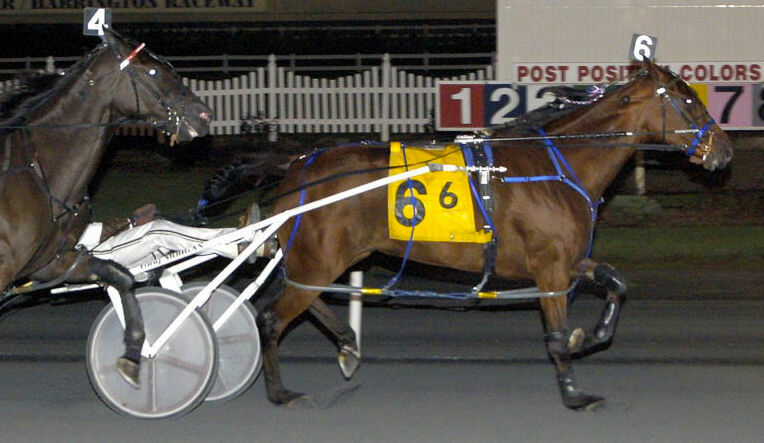 Arty Foster’s Spunky Vic ($11.40, Tony Morgan) used a powerful late surge to achieve his fourth win in 2010 with a 1:57.3 score in the $22,000 Open Trot at Harrington Raceway Wednesday. Harrington Raceway track record holder Ladyfield (Tony Morgan, $5.60) earned her second straight win in the $22,000 Fillies and Mares Open Tuesday at Harrington Raceway with a 1:54.2 triumph. Rodney Long’s Bad Rusty ($5.20, Ross Wolfenden) earned his eighth win of the season Monday in the $22,000 Open Pace at Harrington Raceway Monday in 1:52.4. Due to pending inclement weather in the Mid-Atlantic region, Harrington Raceway has canceled qualifying races that were scheduled for Thursday morning September 30. Qualifiers will now be held Sunday October 3 at 10 a.m. The entries from Thursday’s qualifiers, which were already drawn Wednesday, will be carried forward to Sunday. There will NOT be another draw for Sunday’s qualifiers. For more information, please call 302-398-7223. Rodney L. Wyatt and Rodney K. Wyatt’s Irenonethemove ($44,60, Mike Cole) was a 21-to-1 upset winner in the $20,000 Mares Open at Harrington Raceway Tuesday with a 1:53.3 victory. Kovach Stables, George Teague and Ted Gewertz’s Windfall Blue Chip ($2.80, Montrell Teague) equaled the track record for 3-year-old pacing colts Monday with a 1:52.2 triumph in a $10,500 conditioned race at Harrington Raceway. Andrea Ann Hill’s Chausettes Blanche ($40, Sean Bier) was a 19-to-1 upset winner Tuesday in the $20,000 Mares Open in 1:54.1. Burke Racing Stable, Weaver Bruscemi and Jjk Stables’ Foiled Again ($6, Yannick Gingras) prevailed in the 4th Annual $354,000 Bobby Quillen Memorial Final Monday at Harrington Raceway in a track record time of 1:50.1. 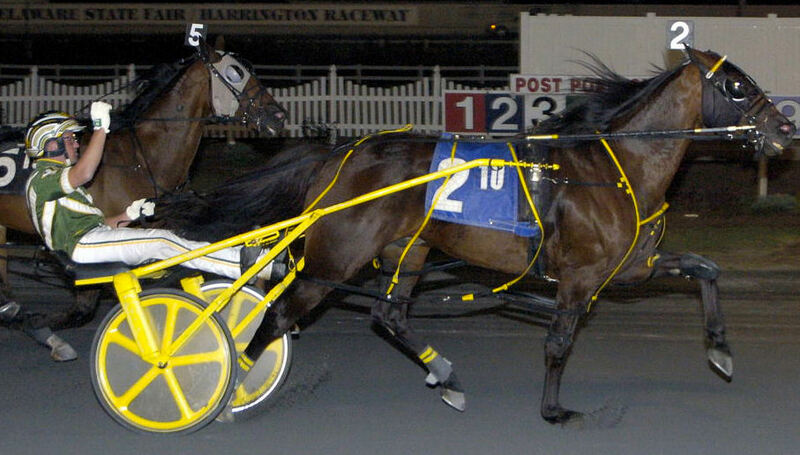 The richest race in Harrington Raceway’s 64-year history will take place Monday as a group of the sport’s elite older pacers will do battle in the $354,000 4th Annual Bobby Quillen Memorial. Amy and Steward Oldford’s Nordic Venture ($3.60, Vince Copeland) earned his seventh win of the season and second consecutive Wednesday with a 1:56.4 win in the $20,000 Open trot at Harrington Raceway. Many of the top older pacers in the sport took center stage at Harrington Raceway Monday to compete in the 4th Annual Bobby Quillen Memorial eliminations. A total of 15 of the sport’s top older pacers will do battle in the 4th Annual Bobby Quillen Memorial at Harrington Raceway, with two divisions of eliminations set for September 13. Francis Azur’s Hypnotic Blue Chip is the first ever supplement to the Quillen, paying the $25,000 fee to gain eligibility to the race. Amy and Steward Oldford’s Nordic Venture ($6.40, Vince Copeland) scored his sixth win of the season Wednesday with a 1:57.2 win in the $20,000 Open Trot at Harrington Raceway. Andrea Hill’s Chausettes Blanche ($6.40, Sean Bier) scored her fifth win of the season Tuesday, by capturing the $20,000 Mares Open in 1:53.2. 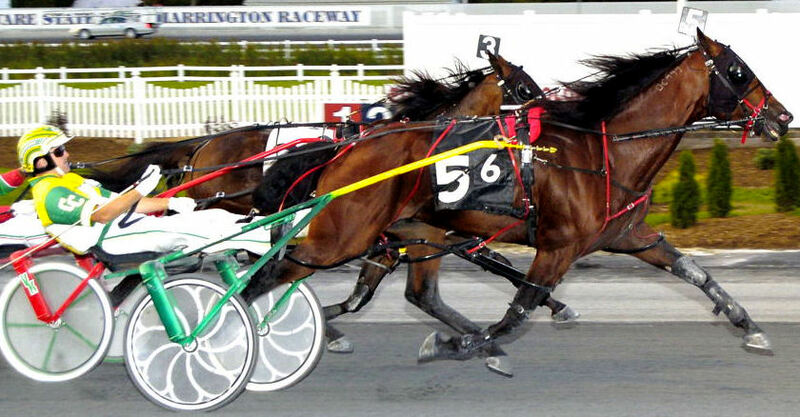 Rodney Long’s Bad Rusty ($21.60) utilized his customary late charge to prevail in the $20,000 Open at Harrington Raceway Monday. 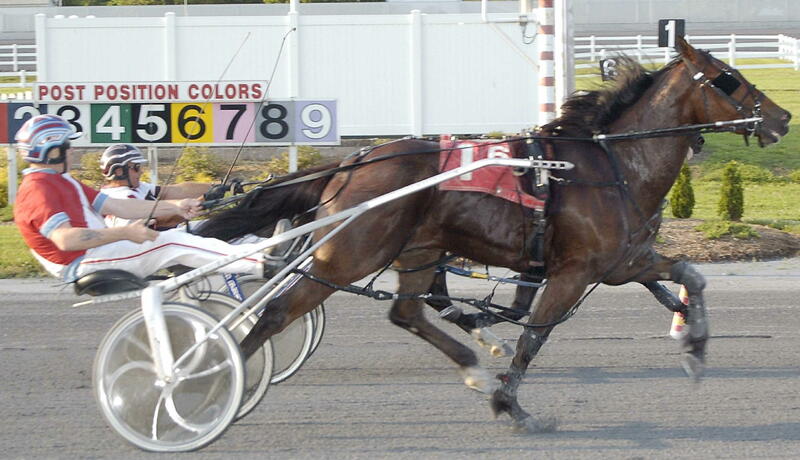 Michael Casalino and Dylan Davis’ Sedona Canyon ($8.60, Corey Callahan) earned his first career win at Harrington Raceway Wednesday, with a 1:57 triumph in the $20,000 Open Trot. 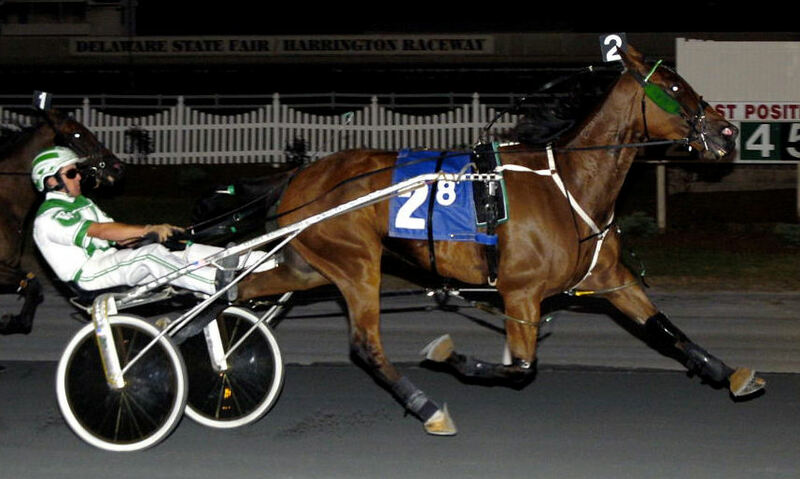 Four Starzzzz Stable’s Four Starz Molly ($4.40, Montrell Teague) improved to 2-for-2 in her career at Harrington Raceway with a 1:54 win in the $20,000 Mares Open Tuesday. Daryl Bier’s Roy Orbisong ($13.20) equaled the all-aged track record at Harrington Raceway Monday, by winning the $20,000 Open Pace in 1:50.4. Donato Poliseno’s Man About Town ($8, Ross Wolfenden) improved to 2-for-2 at Harrington Raceway by capturing the $20,000 Open Trot Wednesday. Four Starzzzz Stable’s Four Starz Molly ($11.40, Montrell Teague) made her Harrington Raceway debut a winning one Tuesday, capturing the $20,000 Mares Open in 1:54.2. Johnny Waite and Wade and Kathleen Wyatt’s Solano ($5.20, Corey Callahan) earned his ninth win of the year Monday with a 1:53.2 triumph in the $20,000 Open Pace at Harrington Raceway. Tony Poliseno's Man About Town (Ross Wolfenden, $4.20) returned to his home state a winner with a 1:58.2 triumph at Harrington Raceway in the $17,500 Junior Open. Not even post eight could stop Darryl Gombert, Jeffrey Rose and Hankook Stable’s Don’ttellmewhatodo ($18.60, Victor Kirby) from prevailing in the featured $20,000 Mares Open at Harrington Raceway Tuesday in 1:56. In what is believed to be the fastest dead heat in track history, Baron Racing and Green Racing’s Mystique Cruiser ($2.40, Victor Kirby) and Foulk Stables and Lauren Allen’s Sniper Hall ($2.40, Mike Cole) could not be separated at the wire in a 1:53 win in the $20,000 featured Open Pace. The largest crowd of the season was on hand to attend the inaugural ‘Back to the Track’ night at the races Saturday at Harrington Raceway. 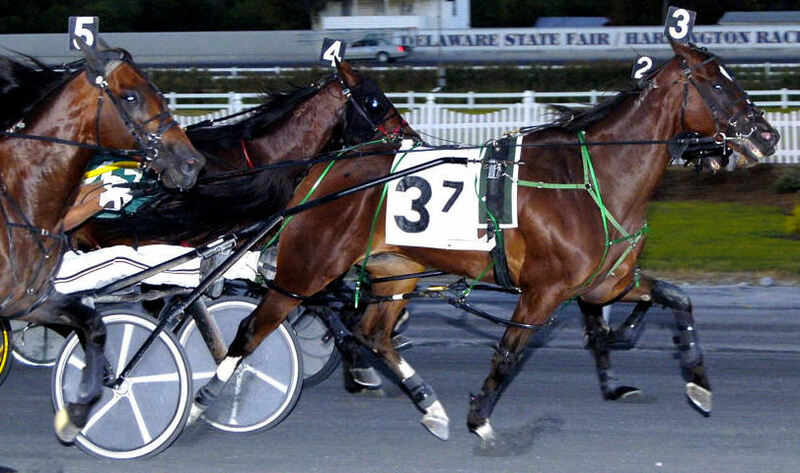 More than $600,000 in purses were up for grabs Thursday as part of the annual Governor’s Day of racing at Harrington Raceway during the Delaware State Fair. It was an eventful day at the races that saw Mr. Wiggles set a new track record, and driver Victor Kirby earning his 2,000th win. Harrington Raceway will be participating in the national 'Back to the Track' weekend by offering up a special Saturday night of live racing August 14 full of promotions and excitement that you won't want to miss. Three Delaware Standardbred Breeders Fund (DSBF) $20,000 elimination divisions for 3-year-old pacing fillies were held Tuesday at Harrington Raceway. Badlands Racing and George Teague took two of the divisions with No Bad Luck (1:55.1, $2.20, Montrell Teague) and Model Legs ($3.60, Corey Callahan). 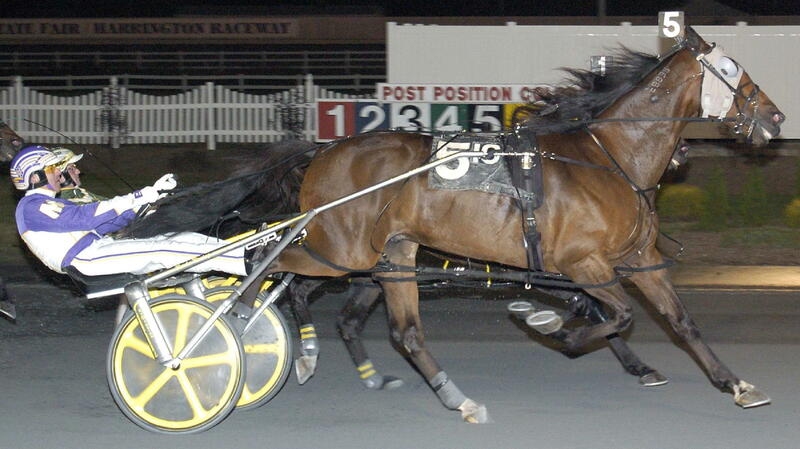 Driver Brad Hanners had the hot hand Monday as the 38-year-old driver won six races on the Harrington Raceway program. 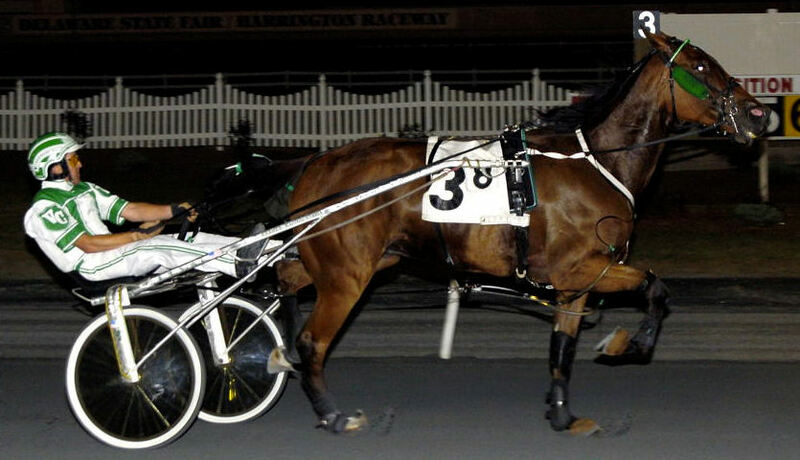 Andrew Glassmeyer’s Print It ($30.60, Jon Roberts) pulled off a 14-to-1 upset Monday in the $20,000 Open at Harrington Raceway with a 1:51.4 triumph. 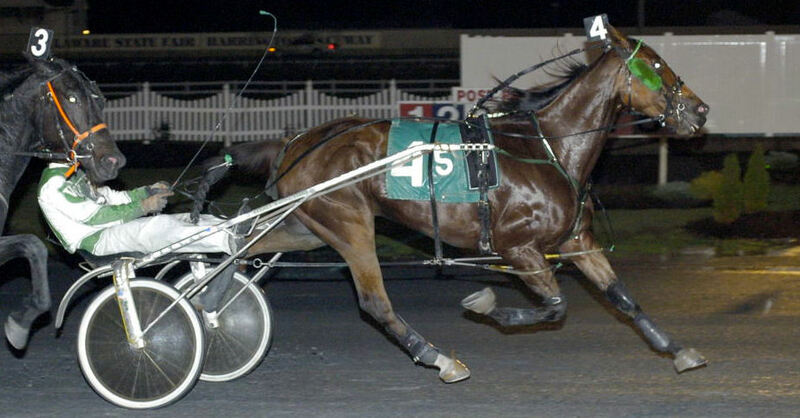 After spending most of his career in Michigan, Amy and Stewart Oldford’s Nordic Venture ($4.80, Vince Copeland) made his second Delaware start a winning one Wednesday with a 1:57.2 win in the $16,000 Junior Open Trot. Wayne Givens and Niel Gargiulo’s Real Magician ($15, Jim Morand) scored a 1:52.2 victory in Monday’s $20,000 featured Open Pace at Harrington Raceway. Golden Hour Stables and Kdk Standardbreds’ Shady Sabrina ($4.80, Corey Callahan) earned her fourth win in a row Tuesday with a 1:53.4 triumph in the $23,000 Mares Open Tuesday at Harrington Raceway. It wasn’t long ago that 5-year-old Solano ($3.20, Mike Cole) was a $25,000 claimer, but seven races later the 5-year-old completed his ascent through conditioned ranks with a 1:52.2 win in the $23,000 Open at Harrington Raceway. Green Racing and Meadowbranch Stables’ Batalj Launcher ($4.60, Brad Hanners) earned his 40th career win in his Harrington Raceway debut Wednesday by capturing the $18,000 Junior Open Trot in 2:00. KSJ Stables’ Perfect M Forever ($8.60, Brad Hanners) scored a wire-to-wire win Tuesday in the $23,000 Mares Open at Harrington Raceway. Rodney Long’s Bad Rusty ($8.80, Ross Wolfenden) earned his third win of the year Monday in the featured $23,000 Open at Harrington Raceway in 1:53.2. 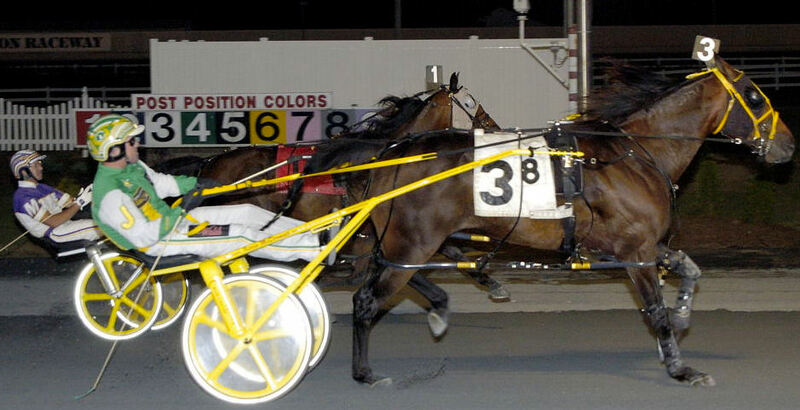 Harrington Raceway's 64th season of live harness racing will get underway Sunday April 18. Post time is 5:30 p.m.
Race packets are now available at http://harringtonraceway.com/horsemen/racepacket/ . Live racing begins Sunday April 18 with the first draw taking place on April 13. For more information, please call the race office at 302-398-5970. The application deadline is April 5. Please note post time will revert back to its regular 5:30 p.m. schedule for 2010. The first qualifying day will be held on April 15.